Our Princeton, NJ pediatric dentists want to help your child avoid tooth decay at all costs. Unfortunately, cavities are bound to happen from time to time. At Montgomery Pediatric Dentistry, we make getting a dental filling not-so-scary. In fact, we’re often able to create a positive environment for even the most anxious of children… even those with special needs. 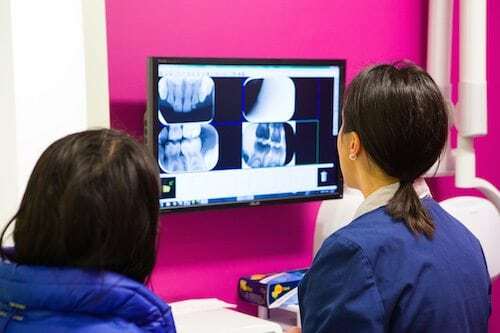 Ultimately, we aim to help your child prevent tooth decay through prophylactic visits, dental sealants, and good oral hygiene. But when decay does develop, we also strive to diagnose it early… so that it can be stopped or treated before it has a chance to spread. "But It's Just A Baby Tooth"
Is it possible to allow a cavity to go untreated, since the baby tooth will eventually fall out? It depends. If the cavity is very small and doesn't present a risk of spreading into the nerve or other teeth very soon, we may find it’s more effective to watch it and place your child on a prescription strength fluoride. Unfortunately, pulling the tooth instead of filling it can cause more harm than good. It’s best to repair the area of decay. Premature tooth loss has a significant impact on the biting patterns of your child’s smile, which could result in significant orthodontic needs later on. At Montgomery Pediatric Dentistry, we offer both white (composite) fillings as well as traditional amalgam restorations. In most cases, our dentists recommend white fillings. These restorations require less tooth preparation and provide a tighter bond against enamel, preventing bacteria from causing recurrent tooth decay. Please feel free to let us know if you have any questions about the process. Depending on the extent of the cavity, it may sometimes be necessary to provide pulp therapy, an indirect pulp cap, or a stainless steel crown. It’s best to preserve the baby tooth for as long as possible, so that it exfoliates (falls out) at an appropriate oral developmental stage. 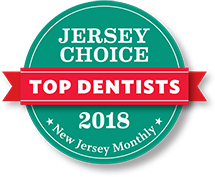 If you suspect that your child may have a cavity, or he or she is too anxious about getting their teeth filled with your general dentist, call Montgomery Pediatric Dentistry in Princeton today. Our pediatric experts know just how to put your child’s mind at ease. Nitrous oxide and IV sedation are also available. Be sure to ask about our complimentary exam for 1 year olds!